It looks like Meghan Markle's style quotient is rubbing off on the Duchess of Cambridge. During a visit to Cyprus to meet RAF personnel, 36-year-old Kate Middleton wore an ensemble of black wide-legged pantsuit coupled with a white silk top and an $874 recycled khaki blazer from Canadian brand Smythe — something very similar to the wardrobe of the Duchess of Sussex. This is believed to be the first time Kate has ever donned black pantsuit during an official royal engagement, after having previously worn dark skinny jeans and jeggings on similar occasions. 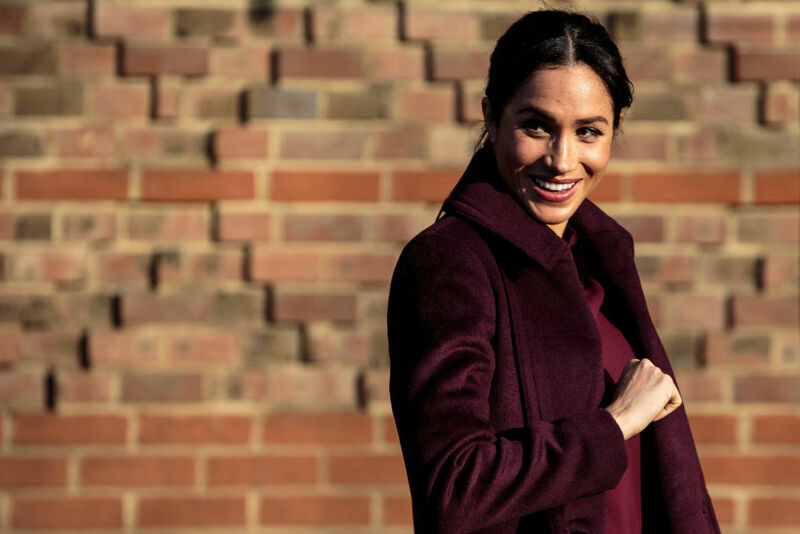 It is important to note that 37-year-old Meghan has adopted the style as a staple of her royal wardrobe and is regularly spotted wearing pantsuit on official engagements, Daily Mail reports. 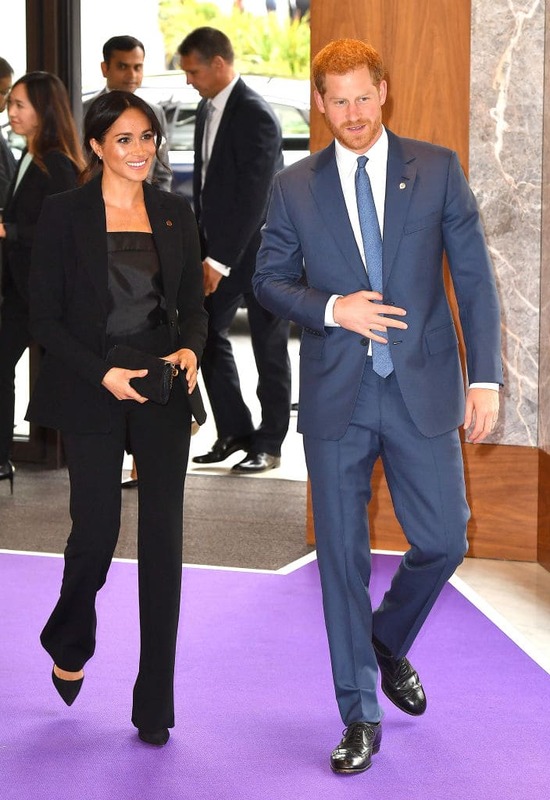 After the Duchess of Sussex started donning a suit on evening occasions when other royals would have turned up in a dress, smart trousers became a trademark for Meghan. 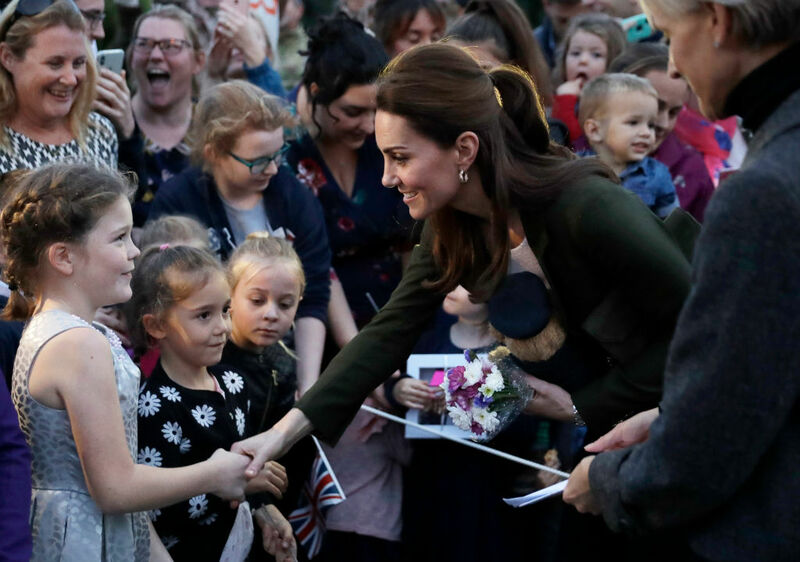 That said, Kate once again showed her lavish side by recycling an old blazer — signaling that it wasn't a complete departure from her usual fashion. While she has been wearing Smythe since long before her sister-in-law came into the scene, the Canadian brand is also popular with Meghan. Kate sported the label's khaki jacket with gold buttons, which she previously wore in 2016 during the royal tour of Canada. As the family touched down at RAF Akrotiri on the government's Voyager aircraft after a five-hour flight from the UK, the Duchess looked perfectly coordinated as she matched her khaki suede clutch bag and heels to her blazer. 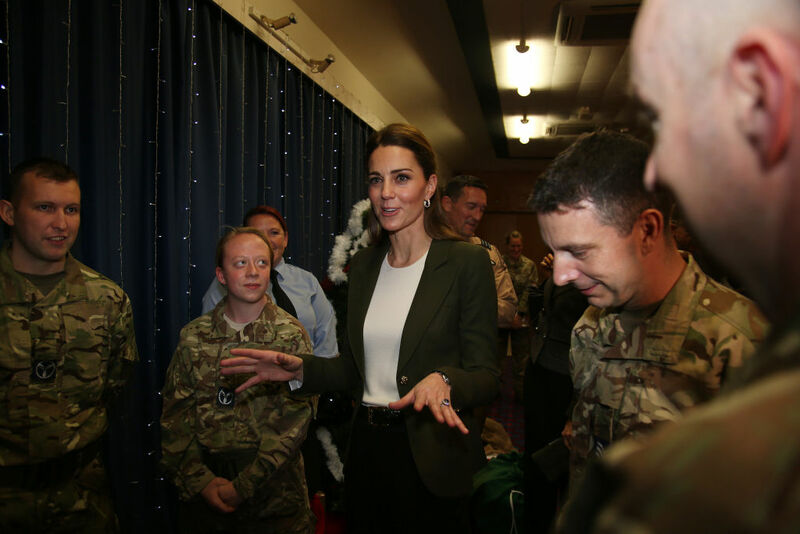 Both the Duke and Duchess of Cambridge are visiting Cyprus in order to support RAF personnel who will be away from their families during this festive season. Praising the brave men and women for doing their work "without fanfare", the couple arrived on a special "Royal Mail" flight brimming with gifts and cards from relatives. The presents were given to the royal couple at a party hosted by them at Kensington Palace in London, where wives, husbands, children, and parents of staff from RAF Coningsby and RAF Marham were invited. William gave a speech during the visit, extending gratitude to RAF personnel for their patriotism and thanking them for skipping festivities to serve their country. He said: "All of this work is done without fanfare. You don't seek praise for your contribution. It's not about credit or recognition — for you, it's just about service. But as we approach Christmas, Catherine and I feel strongly that praise for your work and recognition of your sacrifices is exactly what is due to you all. From my time in uniform, we both know a bit of what it feels like to balance your work commitments with your family life. You all put duty first. "And so do your families, some of whom we had the chance to meet yesterday at a party at Kensington Palace. We know this isn't easy for you or for your wives, husbands, children, and friends back in the UK. On behalf of everyone back home, we would like to say thank you. Thank you for your commitment and thank you for your sacrifices. We are in your debt and Catherine and I feel very lucky to be able to spend time with you today."